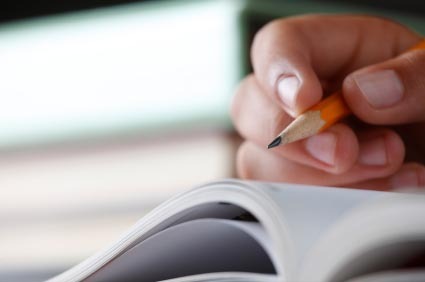 The Dantes Subject Standardized tests or DSST, also known as the Dantes “Credit-By-Exam,” is a method that provides you the chance to display your college-level achievement through a program of examinations in undergraduate college courses. The Credit-By-Exam tests will save you time and money and help you accomplish your educational objectives. Through the help of the Dantes exam, the student will be able to acquire a college credit by passing the examinations. 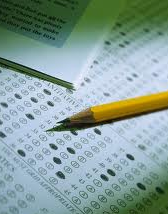 College credit exams are broadly recognized by universities and colleges. By passing these assessments, chances are you’ll earn one-third or maybe more of the credits necessary for a college degree. These types of exams can be found in more than 150 subjects and they are similar to the tests provided by universities and colleges during the end of the course. The DSST will help you acquire your degree, demonstrate your college-level knowledge in subjects relevant to your work or even get a promotion. It will improve your chances to get into the college that you want. Colleges have their own admission policies; some include a good grade in entrance exams. When you get a passing score for DSSTs on your transcript, it will be a strong evidence of how well you perform at the college level. The exam will give you confidence before you enter college. The Dantes exam can show you how well you can compete in the college world because you will be compared with other current college students through your score. When considering the Dantes exam, seek advice from the college or university you’re planning to attend, or together with your education counselor, to guarantee the credits satisfy your degree requirements. You must be prepared before taking the examination. Many people say that the DSST is way more difficult than the CLEP exam. Enough preparation by personal review or taking a review class will increase your chances to get a better score. If you are not sure which CLEP exams to take and how college credit for the following credit-by-examination applications, then here’s the answer. On these three assessments I obtained a high enough score that the college I was participating granted me to be present to learn about their CLEP plan and Dantes exam policies and which examination matches with what class, how many credit they take, or if they take CLEP or Dantes exam credit at all. The second way to play the gap designed by the credit examinations there would actually be a way to move forward quicker. There are many choices to select from when it comes to substitute routes to get college credit. Credit-by-exams are assessments that allow you to confirm your knowledge in an area to college credit. It’s an excellent way to accomplish identification of college-level studying for senior students. These assessments are similar to each other somewhat, but there are some exciting technicalities as well. Most of the 33 CLEP assessments are for common knowledge sessions. For Dantes exam, there are 38 topics to choose from in higher and lower stage credit. The Upper Level assessments are more specific and can be used towards a major, and therefore can be more difficult. There are a total of 49 Excelsior College Assessments, of which 15 are medical relevant. Both CLEP and Dantes exams are provided at local schools, which I found out by looking for exam facilities on both the CLEP and Dantes exam websites. Because each university has its own signing up procedure, I was recommended to contact the test center. While on the phone, they assisted me through the signing up procedure for both assessments and planned a test time frame for me. For the Excelsior College Examination, I planned the test on the internet via Pearson VUE. I like the point that I can check the availability on the internet, as well as the organizing versatility. All the assessments are computer-based and include entirely of multiple-choice concerns. The CLEP and Dantes tests each have 100 questions to be completed in 1.5 hours and 2 hours respectively. The Excelsior College Examination has 120 questions to be completed in 2.5 hours. I found all three assessments I took to be at the same problems stage. Organizations that create and offer research books for people trying to get ready to take a test may offer exercise test questions as a part of their content to help their clients practice the information they have discovered. It cannot be highlighted enough how very essential it is to use Dantes Exam test questions while planning to complete the examination. Yes, you should be acquainted with the content, but it is also very useful to practice taking the exam with real sample questions. If you research more sensibly, you may be able to spend less time in your Dantes Exam preparation. If you do not spend your time and energy sensibly, it may harm you. The best way to study wisely is to get ready by being trained by test taking professionals who are aware of the methods. Set objectives and endeavor to split up your time and energy to the places you need to study and practice. This could help you pass. Save the most difficult problems for last. This will allow you to, as fast as possible, finish the most convenient ones first. However, keep in mind that you will need to pace yourself in order not to run out of energy and time before you get to the last part. Before you take the Dantes Exam, you should have discovered the primary information. Some research books will help you understand the primary knowledge and some believe you know the details but just need help planning. If however, you need more help in knowing the platform details, you will want something more detailed. In the second case, it may sound right to use a few different research books which provide different requirements. One, as a test prep evaluation and one to educate the primary details. Ask yourself how well you view the details before you prepare. If you view the primary content and you understand proper check taking skills, you should be able to not spend by using research information targeted on passing the examination.